Today is the last day for this offer at Fortinos, but you still have plenty of time to get there. Until the end of the day, Oasis Juice is on sale $1.99. Although not pictured, this does include Oasis Hydra Fruit 1.65L Use the $1 tear pad coupons that were previously available and pay just .99 per jug. The size of 1.36L – 1.75L is shown in the flyer for the Oasis Juice. so you should have no issue price matching this elsewhere by showing that the Hydra Fruit is within that range. As for the coupons, there are two version that were out, one of which was a coupon zone coupon. 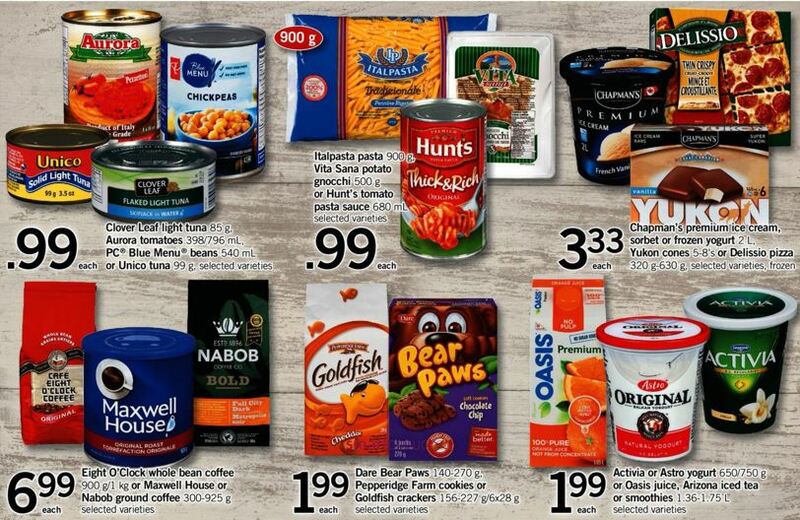 These coupons are valid only at Loblaws banners, so if you are price matching elsewhere, make sure that you are using the regular tear pad coupon for $1 off that is not store specific. The Coupon Zone version may be used at Fortinos. Click here to view this offer in the Fortinos Ontario flyer that ends today.